We’ve had a fairly stable price structure forming over this week and it has been displaying some bullish advances. The trick is to now look forward and find where price may travel to over the next 5 trading days, specifically where the next swing highs may reside. For those purposes, I will be using Hurst Cycles. 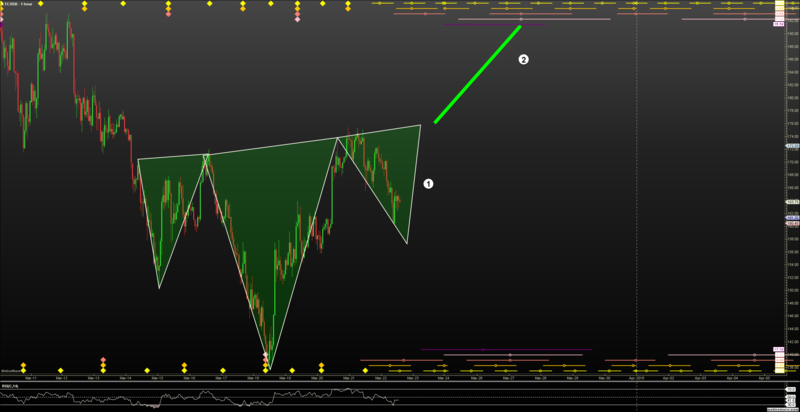 Hurst cycles are a complicated and kind of ‘noisy’ form of technical analysis. Without going into to much detail, Hurst really compliments Gann analysis. In the simplest terms, Hurst Cycles help identify a rhythm of counts of days where prices may find a high or a low. 1. These horizontal lines represent the Hurst cycles. From top to bottom, they represent a period of days where we could find the market lows. So (from top to bottom) we see we are trading in an area where the 17 day, 9 day, 4 day, 2 day and 1 day lows have a high historical probability of forming. It appears we did get that low just before the CST lunch hour. 2. 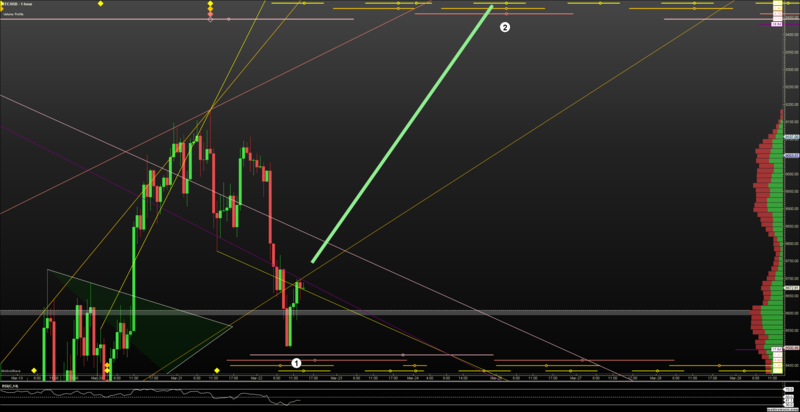 Bouncing from this area, we look ahead and see that this is the most probable area to find a swing high. We should be looking for a high around March 25-28th in the 14,000 value area or in the 10,000 value area. 1. For Litecoin we are looking for a completion of this head and shoulders pattern to complete. The Hurst cycles indicate we are at or near a swing low period. We are also near oversold territory supporting the theory that we are near a swing low. 2. 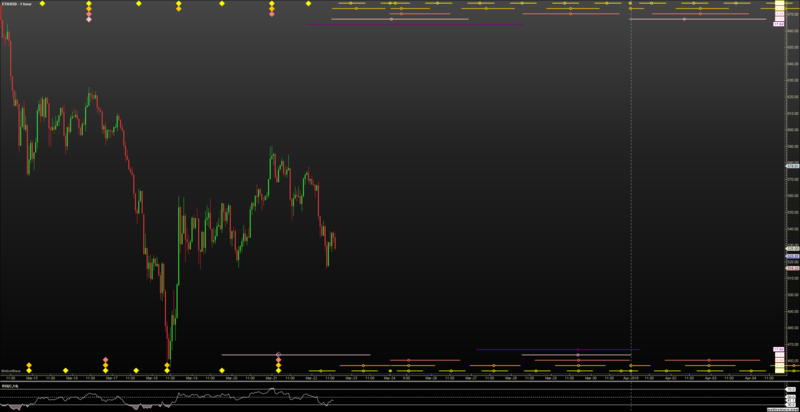 Looking forward, we can anticipate a move towards the 188-200 value area around March 27th. I am looking at flat to slighty higher prices in Ethereum. Ethereum has really developed into the biggest disappointment out of all the major currencies. The luster it had back in January has certainly dulled and the outlook of this currency has certainly worsened. With so many of the bogus ICOs and fake coins being investigated by the SEC, the majority of them have been built on the ETH blockchain. Now this could eliminate some bad actors and increase Ethereums value, but in the meantime there is no clear bias here. In fact, the Hurst cycles are indicating clear indecision (overlapping peakd and trough zones).